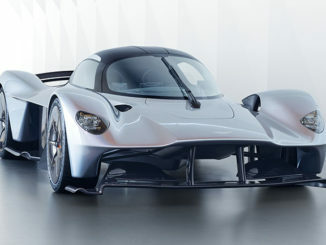 The race to be a leader in the flying vehicle sector just got a little more crowded with news that Aston Martin is to enter the fray. 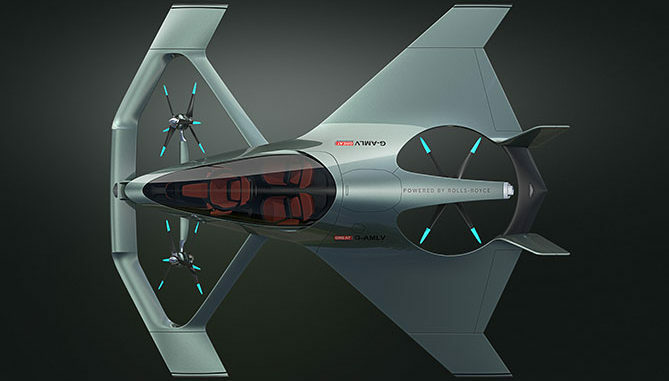 The luxury carmaker has revealed the Volante Vision Concept, a luxury concept aircraft with vertical take-off and landing (VTOL) capabilities. Produced in partnership with Cranfield University, Cranfield Aerospace Solutions and Rolls-Royce, the concept aircraft aims to bring luxury personal transportation to the sky. 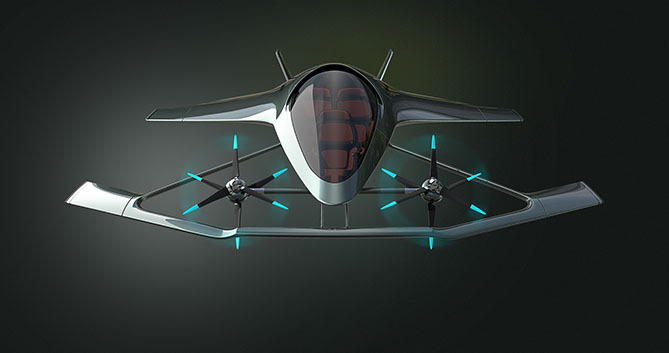 With room for three adults, the concept is a near-future study that previews a flying autonomous hybrid-electric vehicle for urban and inter-city air travel, providing fast, efficient and congestion free luxurious travel. 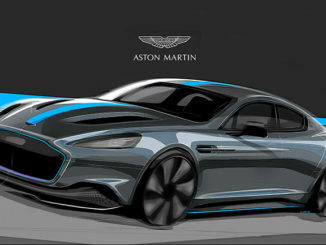 “With the population in urban areas continuing to grow, congestion in towns and cities will become increasingly demanding,” said Dr Andy Palmer, Aston Martin President and CEO. “We need to look at alternative solutions to reduce congestion, cut pollution and improve mobility. Air travel will be a crucial part in the future of transportation, the Volante Vision Concept is the ultimate luxury mobility solution. 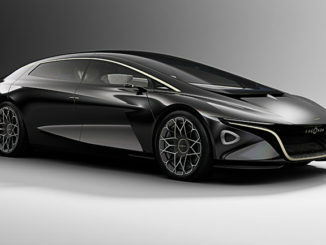 Power for the concept will likely come from a hybrid-electric system developed by Rolls-Royce.